I apologize for the horrible delay to this amazing cover reveal. I was on vacation fulfilling my nerdom at the Wizarding World of Harry Potter (which was absolutely amazing despite my complete lackluster experience in FL, as usual). I attempted to create a new post through my phone, which technologically trumped me by good measure. So I bring this reveal to you several days late with my deepest apologies. Please revel in the beauty and glory of Mae I Design's cover for (to me) a very anticipated sequel to The Hunter, The Bear, and The Seventh Sister below. You can also visit my previous review post to learn more about the first novel and take this chance to become a part of what promises to be a very endearing series. My post over here. In absence of the seven sisters, Jackson returns to find that dark creatures have overtaken the beautiful Starling Forest, destroying everything in their path. Jackson and Nekkar narrowly escape together, but Nekkar blames the Son of Earth for releasing the present darkness in Arcas. The rocky, new friendship strengthens as they journey through dangerous lands toward the Free Realms. Can their loyalties survive when the beautiful Princess Andromeda interrupts their quest and the darkness of war batters their souls? B. I. Woolet (Benji & Ila Woolet) is the author of the World of Arcas book series. They enjoy creating lyrical and literary arts, playing music together, and exploring nature. They are happily married and live in Indiana with their children. 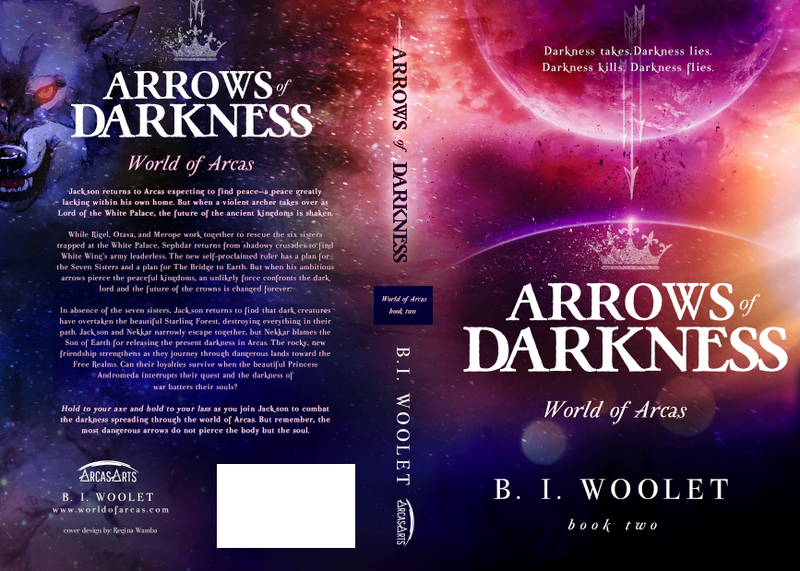 They are currently working on the second installment of the World of Arcas series titled “Arrows of Darkness” due for release in spring of 2015. Get plenty of good information about the authors, the story, and prequel to prepare yourself this spring. I know I'm ready for the next adventure! !